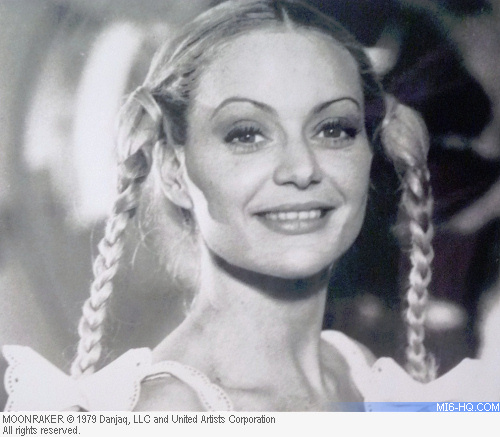 Dolly in 'Moonraker' never wore braces. Half of James Bond fans will wonder why this article even exists. The other half may sway between arguing it's wrong, a conspiracy, or have to face the reality that their memory is false. MI6 conducted a Twitter poll yesterday to ask Bond fans what was the one physical characteristic that made Jaws fall in love with Dolly at first sight. Almost half - 47% - said it was her braces. But the character never wore braces. 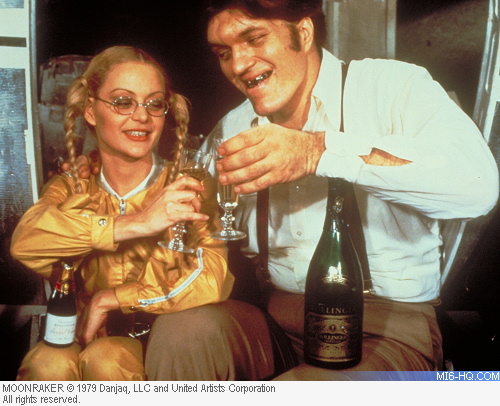 What factor first attracted Jaws to Dolly in Moonraker (at first sight)? This false memory is what some call the 'Mandela Effect.' It is defined as a collective misremembering of a fact or event. What sets it apart from everyday mistakes in recollection is that it is experienced by a large group of people, all having the same identical false memory. It was named by 'paranormal consultant' Fiona Broome who discovered that many, many people believed Nelson Mandela had died in prison in the 1980s rather than a free man in 2013. Another recent example cites large populations claiming to have seen the Tiananmen Square protester run over by a tank (he wasn't - he was killed after arrest). The 'Mandela Effect' has sparked conspiracy theories and even the idea that many parallel universes exist and people or memories have slid between them. Leading psychologists have instead pointed to science - the brain is not perfect and its memories are fallible and can be twisted and distorted by bias, association, imagination or peer pressure. In the case of Dolly in 'Moonraker', it is perhaps the way the sequence is edited that, after Jaws smiles and exposes his metal teeth, Dolly then smiles in the next shot as the music hits its crescendo. Rather than a 'glitch in the Matrix' it is simply our minds playing screenwriter and jumping to a logical conclusion which was actually missing from the film. Compounding this further are the number of fan sites (and even a BBC news report) that describes Dolly as wearing braces in their online profiles of the character. Many reports on the web debate whether or not EON Productions have digitally altered the film in recent years to remove the braces. MI6 can confirm that no change has been made to the film. The actress who played Dolly, Blanche Ravalec, did not wear braces in the film. This has been corroborated by others on the production as well as original still photography taken on set. If EON were to tweak the films, there are far more egregious moments that could be airbrushed out of Bond history, such as the double-taking pigeon in 'Moonraker', the winking fish in 'Licence To Kill' or the slide-whistle sound effect from the car jump in 'The Man With The Golden Gun'. Dolly's non-existant braces would not be top of the list.